“No consideration of the language of Central Africa would be complete if it neglected the highly developed ‘drum language’ used for purposes of communication from village to village” wrote E.R. Moon, U.S. missionary to Congo in the early twentieth century. Variously referred to by foreigners in Congo as the “talking drum”, “bush telegraph” and other terms, the “lokole” of the Mongo people of the Congo rainforest has served communities in many ways. Moon described its many uses in his book I Saw Congo, “The drum is thus telegraph, radio, telephone, orchestra, religious instrument, all in one. I have even heard men quarrelling by use of drums over a distance of several miles.” By the mid-twentieth century, the “drum language” of African cultures all over the continent was more widely recognized as the African form of “writing” and a transmitter of wisdom and history. In his 1961 book Muntu, Jahnheinz Jahn affirmed, “Both western and African culture possessed writing, one an alphabetical script, the other a drum script.” Jahn went on to describe the relative advantages of each, “the alphabet can be used to preserve information longer, and the drum script can spread it more quickly.” Summing up the critical place of the drum and drum language in the cultures of West Africa Jahn states, “The official drummers were the historians of Africa”. Like other observers of African social change in the last century, Jahn laments the growing neglect of drum language instruction due to the new focus on learning the Western written script. An ironic testimony to the past importance of the “talking drum” in transmitting the history and wisdom of the ancestors is shared by Jahn in concluding his comments on the “acoustic” record keeping of the lokole. In Cameroun, Jahn notes, children refer to the blackboard as “that black wall where one speaks with the dead”. One of the earliest travelers in Congo, the Englishman Herbert Ward, adds that river side villages take their drums to the water’s edge to take advantage of water’s ability to transmit sound a greater distance. 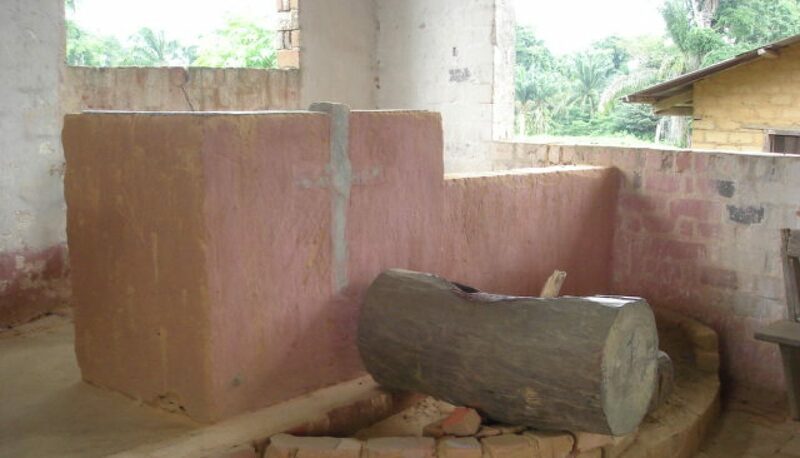 Ward also offers the important information, given Congolese rubber’s contribution to the growing automobile industry at the turn of the 20th Century, that the Congolese used the sap from the rubber tree primarily for wrapping the ends of the lokole drum sticks. Ability of the Congolese to communicate over considerable distances by means of the lokole astounded many long term Western residents in the early twentieth century. In her memoir recounting her Congolese upbringing as the first child born to Disciples of Christ missionary parents, Polly Dye attributes her survival to lokole drumming. Her gravely ill condition was transmitted by drumming one village to the next from the Bolenge mission station to the older, better provisioned Baptist station over three hundred kilometers away. Shortly after the message had been delivered, the necessary treatment was on its way to save the infant Polly. 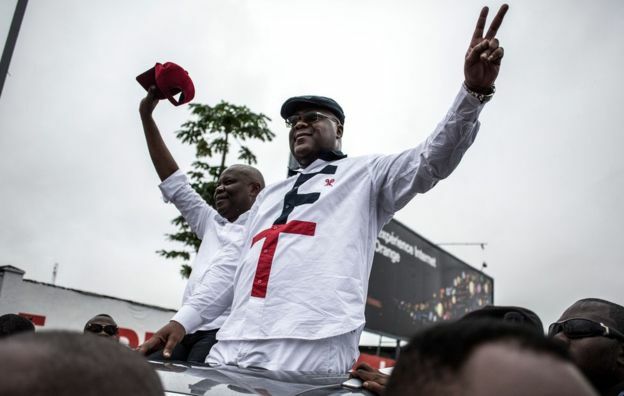 The Congo’s Election Commission (CENI) declared Felix Tshisekedi President despite leaked vote tallies showing opponent Martin Fayulu the landslide winner. Tshisekedi and Vital Kamerhe pulled out of November agreement tapping Fayulu as the opposition coalition candidate. The endorsement of the announced results surprised many Washington policymakers including some who were involved in writing the original draft. A February 1 article in the journal Foreign Policy reports on speaking with “nearly a dozen current and former U.S. officials and experts briefed on the internal deliberations” behind the statement. The original statement, according to the informants, referred to the elections as “deeply flawed and troubling”. One policy maker in a former U.S. administration stated he had learned from current officials that “Everyone knew the elections were crap, but … they thought they had to accept [Tshisekedi], [that] they had no other recourse here”. Eight days before the U.S. took sides in the controversy, the UN Security Council congratulated Congolese officials and the public for the peaceful electoral process. Despite hearing the report of the Catholic Church’s observer corps, the Security Council urged “concerned parties” to “respect the results of the vote, defend democratic rule and preserve peace in the country”. At present, the principal foreign policy objective of the Tshisekedi administration seems to focus on relations with the European Union. In a meeting last week with European diplomats, the new Congo President expressed the desire to “reenergize” the relationship with the EU which maintains sanctions against leading members of the previous, Kabila, administration. Paving the way for the EU dropping of the sanctions and the new Congolese administration improving relations with the EU, a leading Belgian commentator on Congo politics, Colette Braeckman, recently dismissed Martin Fayulu’s challenge of the announced election results. Following the Congo’s Constitutional Court’s approval of the results, and describing a lack of public demonstration of support for Fayulu, Braeckman denounced Fayulu as supported by “foreign sponsors”. An impartial observer has to wonder if Braeckman considers those who have leaked the actual election results among the “foreign sponsors” of the Fayulu candidacy for President. Reporting the leaks in an article titled “Who Really Won the Congolese Elections” the U.S. based Congo Research Group provide evidence that Fayulu won the Presidency by a wide margin . Contradicting the results announced publicly, the leak from the official Congolese election agency, the CENI, “puts his share of the vote at 59,42%, followed by Felix Tshisekedi with 18,97% and Emmanuel Ramazani Shadary with 18,54%.” Results reported by the Catholic Church’s team of observers totaled for the three leading candidates, “62,80% (Fayulu), 15,00% (Tshisekedi), and 17,99% (Shadary). For the complete article on the leaks of the vote totals, go to http://congoresearchgroup.org/congolese-election-leaks/ . U.S. official response to Congo’s election contrasts starkly with the clamor to unseat President Maduro in Venezuela. It appears official judgment of a regime’s “legitimacy” has little to do with actual election results and professed support for democracy and national soverignty. The U.S. approval of the Tshisekedi-Kamerhe rule also leads us to question which of the Congo candidates for President continues to enjoy the backing of “foreign sponsors”. 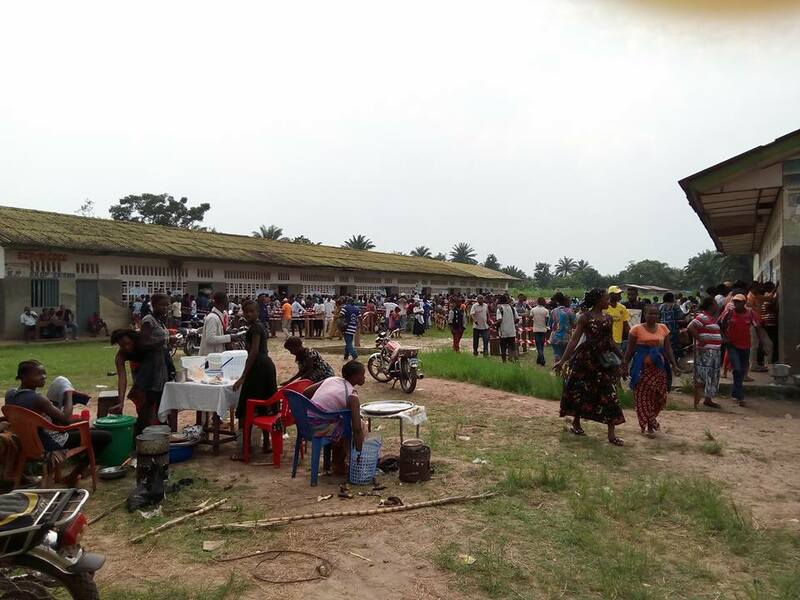 December 30 polling place in Mbandaka III church school grounds. Mbandaka remained peaceful throughout election day. The fact there has been an election at all is a victory for and of the people of Congo. They demonstrated. They marched. They were arrested, beaten, shot. Some died and some are still in prison. As a result, the President of the country was forced to stop his efforts to change the constitution and campaign for another term. Then, when he maneuvered to delay them, the marches and the protests continued and he was forced to schedule the elections that just took place. So regardless of the outcome, that there was an election, not just for President but for provincial and legislative offices as well, is a victory of and for the Congolese people. The December 30, 2018 election is yet another step in the long march of the Congolese toward self rule that began with the 1950’s struggle for independence from Belgium. It continued during thirty plus years of self dealing dictatorship followed by twenty years of plunder of the country’s vast strategic minerals resources by neighboring African countries and their foreign allies who have controlled Congo’s economy since independence. The faith, hope and courage demonstrated by the people over the sixty year long march toward self rule is represented for me by a small, heavily wrinkled woman I met in Congo in 2010. She had walked over one thousand miles from her homeland in Bunia, Eastern Congo to Mbandaka, Equateur Province, where I met her. She had changed her name to Marie Sauve Vie or Mary “who saves life”. In an attack on her village, she was the only member of her family who survived. In Mbandaka she met the female Disciples of Christ pastor who had organized aid and a support group for women displaced from the East. When a Red Cross boat offered her and the others a return to their homeland she elected not to accept. There was nothing and no one there she wanted to return to. 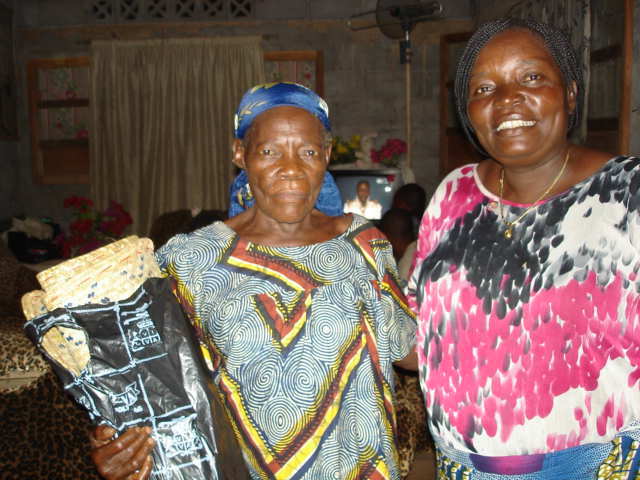 She had been able to survive in Mbandaka through sales of the mats she wove by hand. They are just the right size for doing yoga and remind me of Marie every time I use mine. The people of Congo will continue their march. They have not reached their destination. There remain many obstacles on the way to achieving a stable, effective government that serves the people. There remain formidable structures of power barring the way to the country’s control of its many, so much sought after resources. But the hope, the strength and the resolute will to live in safety and dignity that carried Marie from Bunia to Mbandaka has already brought change to all of Congo and the people’s long march will continue and bring about more and greater change some day. The election was not the only victory for the Congolese people in 2018. There was the truth telling sermon of the Protestant pastor before the presidential family and entourage at the beginning of the year. In the packed national Protestant Cathedral, Pastor Francois David Ekofo stepped from his place on the long march to declare it was time for governmental rule that promised true progress and would make the people proud. In October, a Congolese Doctor was awarded the Nobel Peace Prize for his dedication to healing women horribly violated by the chaos in Eastern Congo. Before the elections, the unified Protestant Church of Christ of Congo leadership joined the Catholic Council of bishops in calling for a fair, transpararent voting process. Forty thousand “observers” were deployed by the Catholic Church to polling places throughout the country. It was the only nationwide oversight, domestic or international, of the electoral process. That it took place without widespread government interference or opposition can also be considered a victory. There are signs that international pressures on the current administration are also having an effect. The government expelled the Ambassador of the European Union two weeks before the national voting. This move was undoubtedly intended to avoid greater foreign condemnation should the President’s choice of a successor win the election. His chosen, Emmnganuel Ramazani Shadary, former Minister of the Interior, is now on a list of aides who are banned entry to the EU for violating the human rights of their fellow Congolese. Pre-election polling and initial reports from the polls have former Exxon Mobil executive Martin Fayulu, of the Lamuka Coalition, holding a sizable lead in the Presidential race. M. Fayulu posted to Twitter shortly after the polls closed, “After the three soundings yesterday, I would like to heartily congratulate all my countryfolk for their clear desire for change. We are going to begin a new era, one which will enable our country to regain its dignity and experience prosperity. Let us meditate on Ph 2:13.” The verse cited from Paul’s letter to the Philippians reads, “for it is God who is at work in you, enabling you both to will and to work for his good pleasure”. M. Fayulu might have also cited the verse from the Book of Revelation often quoted in the first years of Congolese independence, “Behold, I am making all things new” (Rv 21:5). 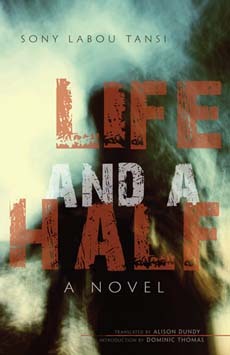 Named one of the 100 best books on Africa, Life and a Half was Sony Labou Tansi’s response to the death of close friends during a bloody military and political crackdown in Congo. The novel takes place in an imaginary African country run by the latest in a series of cannibalistic dictators who has captured Martial, the leader of the opposition, and his family. For those of us who already have much of everything else, there’s at least one good book every year testifying to the nobility, strength and “joie de vivre” of the Congolese people in their struggle. Books published by journalists and writers traveling up the Congo River have become a mini-genre in recent years. So Lokole ya Congo here publishes a wish list of recommended books for all Congophiles who have everything they need and don’t need already. The journalist Tim Butcher published a list of his ten Congo favorites in The Guardian (U.K.) in 2008. He began his list not surprisingly with Henry Morton Stanley’s book that inspired Butcher’s own highly praised Blood River: The Terrifying Journey Through the World’s Most Dangerous Country. Butcher’s list is weak on the decolonization and post independence periods of Congo so I’ve added a few of my recommendations. Stanley’s charting of the Congo was the high-water mark of 19th century African exploration. 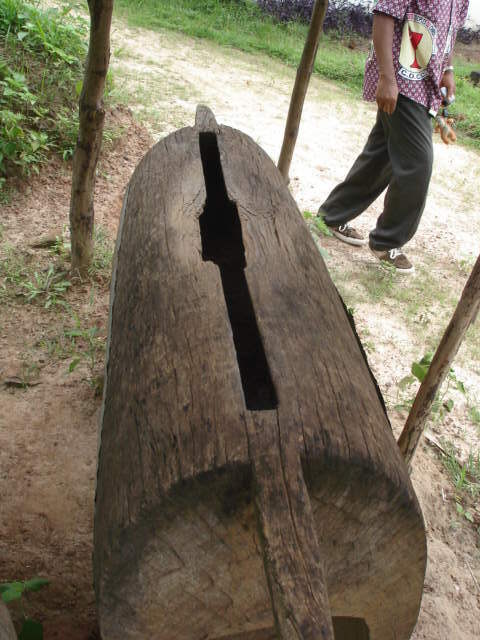 It took three years and cost the lives of hundreds of tribesmen slaughtered by Stanley’s heavily-armed bearers. All his white companions died. But it fired the starting gun for the Scramble for Africa, luring the European powers to claim the continent’s interior after centuries of nibbling round its edges. Like its author, this book, written in two volumes as a package with newspaper sponsors, is not trammelled by modesty. What Conrad saw on the Congo in 1890 while serving briefly as a steamboat skipper burnt in his soul for eight years until, in a few hectic months, he ran off this most haunting of novellas. Is it a racist attack on the savagery of black Africa? Or, maybe, a lament for the evil that bursts from all of us when our moral compass starts to spin? Magical, multi-voiced account of a family’s spiralling doom at a remote mission station in the Congo around the time of independence in 1960. Narrated in turns by the mother and the daughters, it captures the singsong sound of Lingala, the language of the lower river, and the jungle’s hidden terrors. The day the ant column comes, consuming all before it, forcing the villagers to decide what – and whom – they can leave behind is unforgettable. As you see, I’ve eliminated some of Butcher’s choices I either don’t recommend (Naipaul’s A Bend in the River) or haven’t read. I confess to not having read the first two which are essential sources for the story of Congo’s increased contacts with Europeans and Americans in the late 1800’s. For twentieth century developments, the Flemish writer David Van Reybrouck has published the highly readable The Congo: The Epic History of a People based on extended interviews with elderly Congolese who lived the history from a variety of viewpoints and social positions. The result surpasses anything Butcher suggests as an in-depth view of Congolese life in the pre and post independence era. For a more scholarly history of the twentieth century Congo I recommend the Congolese expatriate political scientist Georges Nzongola-Ntalaja’s book The Congo: From Leopold to Kabila. On King Leopold’s rule over the Congo and the campaign to free the country from his depredations, Adam Hochschild’s King Leopold’s Ghost can’t be beat. And Mark Twain contributed to bringing Leopold’s rule of Congo to an end with King Leopold’s Soliloquoy, a worthy satire. In closing I will share some favorites that are less well known. One of the first Peace Corps volunteers in Congo wrote an account of his cultural mishaps, misunderstandings and mistakes in a remote village. Mike Tidwell’s The Ponds of Kalambayi is a delight. The anthropologist Colin Turnbull has stirred much controversy with his research and books on northern Uganda but his classic The Forest People remains a beautiful rendering of his love and admiration for the Pygmy inhabitants of the Ituri Forest. Finally, I have just finished Noble Prize winner Mario Vargas Llosa’s account of the life of Roger Casement in The Dream of the Celt. Already mentioned above as one of the first international human rights campaigners focused on Congo, Casement led a fascinating but very difficult life worthy of the great novelist Llosa’s nuanced account. Finally, I want to encourage Lokole ya Congo readers to explore the writing of the Congolese poets, short story writers and novelists who have gained literary attention since 1960. From the DRC, the late, lamented Sony Labou Tansi stands out as does our contemporary Fiston Mwanza Mujila whose recent first novel Tram 83 has been highly praised. The Republic of Congo’s Alain Mabanckou and Emmanuel Dongala continue to garner attention and literary awards. After reading Dongala’s The Fire of Origins, I want to read more of his work in the coming year. 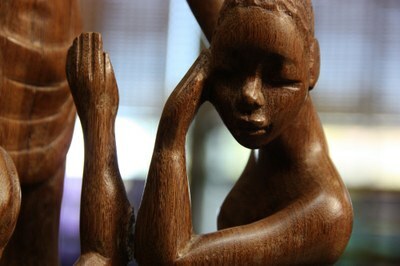 It is regrettable that a brief internet search brings up no mention of Congolese women writers. We need their voice to balance the images, views and impressions of Barbara Kingsolver’s highly regarded novel, probably the most widely read book on Congo in the U.S. Kingsolver’s book is written from an American missionary family’s standpoint, her parents also lived in Congo as missionary doctors before independence, during and following the Congolese transition to self rule. I close this wish list with the wisdom of Congo’s “article quinze” (referring to the non-existent fifteenth article of Congo’s first Constitution) or “debrouillez-vous” which loosely translated advises, “carry on with what you’ve got”. 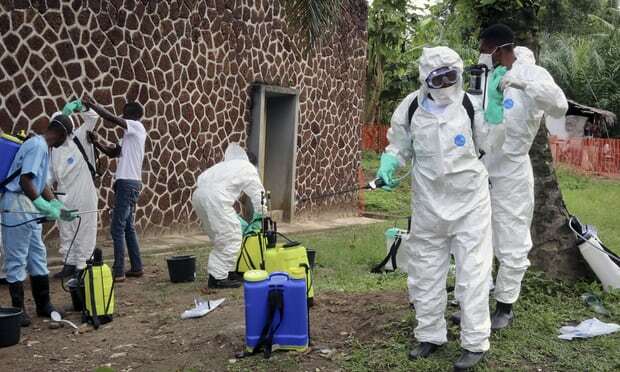 The Ebola outbreak that killed 11,000 people in West Africa three years ago has ended its threat in the Equateur Province of the Congo (DRC). The relatively low death toll of 29 during this most recent crisis can in part be attributed to Congo’s past experience in countering 8 prior outbreaks in the country. This was, however, the first instance of Ebola’s spread in Congo to an urban center, Equateur Province’s capital of Mbandaka with 1.2 million people. 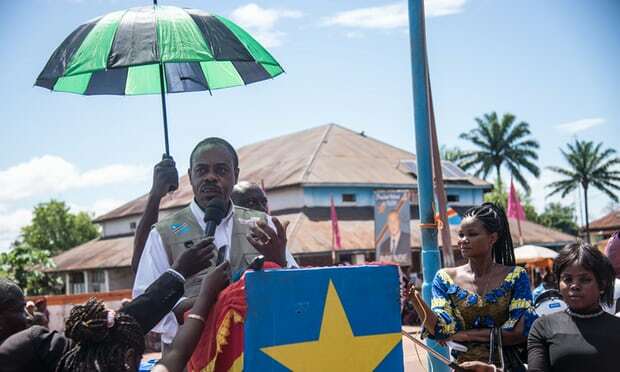 The organizing of an international campaign and the crucial contributions of local Mbandaka partners are highlighted in the following article by the DRC’s Minister of Health that appeared July 25 in The Guardian newspaper of the U.K.
“The ninth and latest outbreak of the deadly Ebola virus in the Democratic Republic of the Congo (DRC) is now over. I did not think I would be able to utter these words so soon after it all started on 8 May. This outbreak, the most challenging the country has ever faced, had all the makings of a major crisis. Ebola surfaced simultaneously in two remote rural zones, with health workers among the confirmed cases. The virus quickly spread to Mbandaka, a city of more than 1.2 million inhabitants on the Congo, a heavily used transportation corridor. It could have spread to other major cities including Kinshasa, our capital, where more than 12 million Congolese live, and neighbouring countries, but it did not. So what went right? The global community’s ability to contain the spread of the Ebola virus has greatly improved since the 2014 west Africa Ebola epidemic. With our partners, we applied many of the lessons learned from our experiences in both west Africa and DRC. Local ownership remains the cornerstone of a successful response. The Ministry of Health stepped up to lead the efforts on the ground. By the time international support arrived in DRC, the major elements of a full-blown response were already in place and functioning. Swift mobilisation of finances is another key factor. The government’s $56.8m (£43.3m) three-month action plan was fully financed within 48 hours of it being released, starting with the DRC government putting forward $4m. 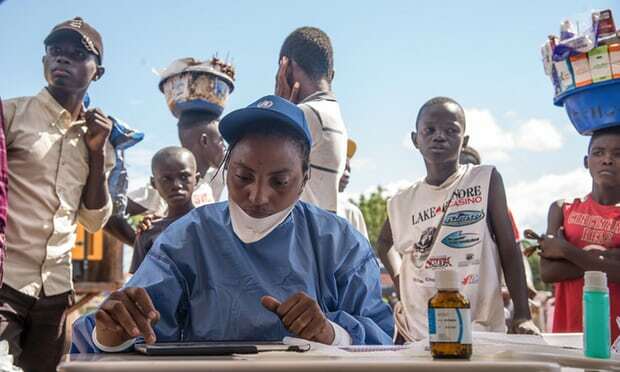 International partners including donor governments and the World Bank also stepped up – the latter triggered its newly operational pandemic emergency financing facility for the first time and swiftly repurposed funds through its existing health programme in DRC to support the effort. This is in stark contrast with west Africa, where it took months to raise the necessary funds, while the death toll kept rising and finally reached 11,000. The use of the Ebola vaccine, which proved highly effective in a clinical trial in Guinea in 2015, was one of the most innovative components of this response. The new vaccine has not just proved safe and effective against Ebola; it also changed community perceptions of the disease, which is now seen as treatable. Throughout the outbreak, more than 3,300 people were vaccinated. I was vaccinated myself to show the vaccine’s safety and break the stigma around it. I learned that working with the community, especially on public health information campaigns, will get you a long way. 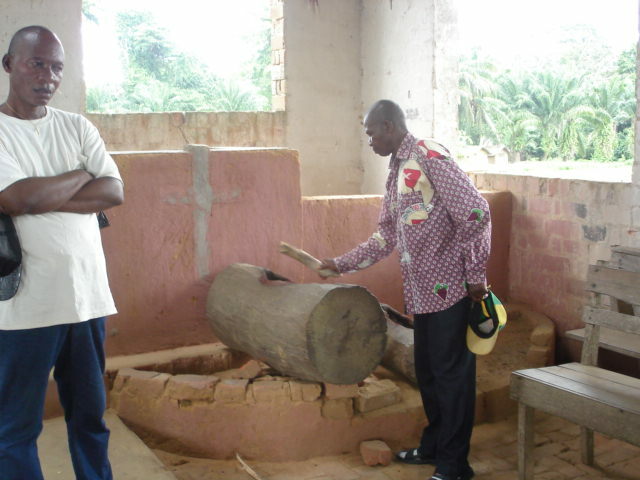 Church and traditional leaders are your best allies to carry public health messages that require communities to change age-old habits and challenge their traditions. In Mbandaka, our strongest health advocates became the 4,000 motorcycle taxi drivers, whose daily work put them at risk of transporting infectious people. They started promoting vaccination and hygiene messages on local radio. The pan-African nature of this response was quite exceptional. Epidemics do not stop at national borders. The importance of regional cooperation for outbreak prevention and management cannot be overstated. Health responders from Guinea participated in the vaccination efforts, epidemiologists from the newly created Africa Centres for Disease Control and the African Field Epidemiology Network worked with our experts on surveillance. This regional collaboration sends a strong signal that Africa is willing to take the driver’s seat in solving its problems. While Ebola remains a formidable challenge for DRC and the rest of the world, we raised the bar on our own ability as a country to detect and respond effectively to outbreaks despite highly challenging circumstances. We must continue to improve our capacity to contain diseases and prepare for Ebola outbreak number 10, which we know will happen. “It is sadly apparent that the gravest threat to Congolese civilians comes from the country’s own security forces” declared the Central Committee of the World Council of Churches meeting on the occasion of the ecumenical movement’s 70th Anniversary. Along with welcoming the first visit of Pope Francis to its Geneva headquarters, the World Council singled out for concern and action the DRC as the nation with more displaced persons than any other in Africa due to the “deepening political, human rights and humanitarian crisis and escalating conflict”. In warning against further postponement of the presidential election now scheduled for December, the statement calls “upon the Government of the DRC to stop the killing due to political intolerance” and “to respect fundamental human rights to assembly and to freedom of opinion and expression”. With over 90 % of the population now professing some form of Christianity, the Congo has the eighth largest number of Christians among the world’s nations. It has more Roman Catholic adherents than any other country in Africa and the Archbishop of Kinshasa, Cardinal Monsengwo, was considered to be a top drawer candidate in the last papal election. 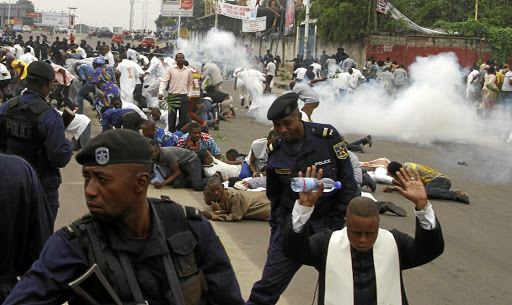 The World Council’s June 20 statement notes the significant role of the Catholic Church leadership in designing a process for peaceful, democratic political change while also deploring the firing by Congo security forces “into Catholic church grounds to disrupt peaceful services and processions following Sunday mass”. 1. The people of the Democratic Republic of the Congo (DRC) have already suffered so much for so long at the hands of so many self-interested actors from within and from outside the country. A deepening political, human rights and humanitarian crisis and escalating conflict are again afflicting the country and its people. 2. Some 4.5 million people – more than in any other country in Africa – have been displaced from their homes, and tens of thousands of refugees are again fleeing to neighbouring countries. DRC’s neighbours are already hosting approximately 600,000 people who have fled conflicts in the centre and east of the country. 3. More than 13 million Congolese affected by recent violence are in need of emergency assistance, including food, sanitation, shelter, and education – the same level of need as in Syria. The conflict and instability have been accompanied by exceptionally high levels of sexual and gender-based violence, and have entailed particular suffering for people living with disabilities. Well over half of the number of crisisaffected people are children. An estimated 2 million children are at imminent risk of starvation. 5. President Joseph Kabila has stayed in power beyond his constitutionally mandated two-term limit, and elections have been twice postponed on questionable grounds. In the context of this constitutional crisis, dissent and opposition is being brutally repressed, and violence is being fomented in different parts of the country for political ends, particularly in the Djugu territory of Ituri province, the Kasai region, North and South Kivu, and Tanganyika provinces. 6. It is sadly apparent that the gravest threat to Congolese civilians comes from the country’s own security forces. According to the UN human rights office in the DRC, some 1,180 people were extra judicially executed by Congolese “state agents” in 2017, far more than those killed by any of the armed groups, and a threefold increase over two years. 7. Government security forces have even fired into Catholic church grounds to disrupt peaceful services and processions following Sunday mass, killing at least 18 people and wounding and arresting scores of others. Hundreds of opposition leaders, supporters and pro-democracy and human rights activists have been imprisoned, often without charge or access to family members or lawyers, and meetings and demonstrations banned. 8. The Saint Sylvestre Accord, a power-sharing agreement signed on New Year’s Eve 2016 following mediation by the Roman Catholic Church, allowed for President Kabila to remain in power another year beyond the end of his constitutional two-term limit on 19 December 2016, but included a commitment to organize elections by the end of 2017. However, in November 2017 the Electoral Commission (CENI) set 23 December 2018 as the new date for elections, but suggested that numerous “constraints” could result in further postponement. 9. This long-running political crisis is deepening the misery of the people of the DRC, and raising the spectre of increased regional instability with very serious effects for the whole Great Lakes region and beyond.